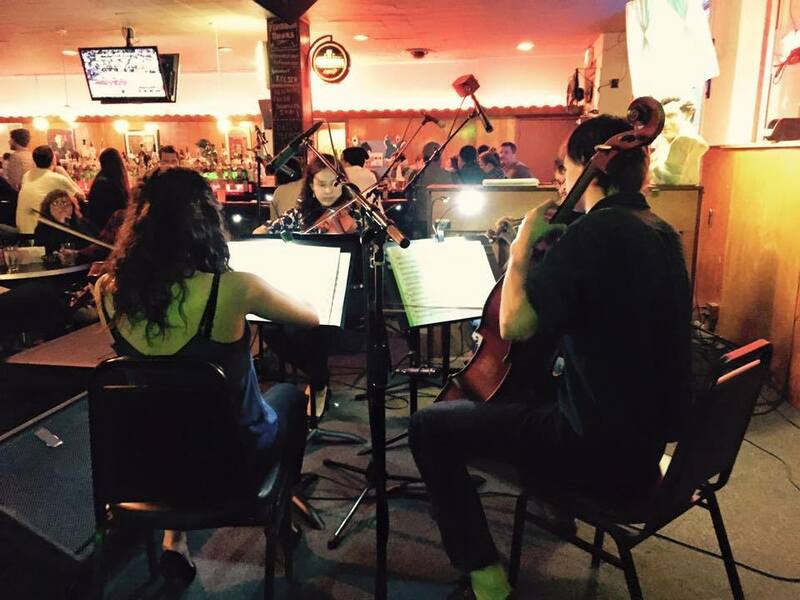 While the larger “Classical Revolution” movement began in San Francisco, Cleveland’s own Classical Revolution project opened in 2009, with performances by classical musicians at well-known pubs and bars in the Cleveland area. We are a loosely bound group of classically-trained musicians who love sharing music with Cleveland in unusual and non-traditional formats. We also seek to provide a performance platform for independent performing artists pursuing careers in classical music, as well as opportunities for graduate students from some of the country’s best conservatories to perform and connect with audiences. Aside from our monthly residency at The (beloved) Happy Dog, we’ve performed after-party music for TEDxCLE conferences, we’ve lent our sounds to fundraisers and benefits (including a recent event for the Gordon Square Arts District), and we provide numerous performances at smaller venues (art galleries and cafes), where classical music may be less frequently experienced. I would like information on how to become involved. I am a professional cellist born and raised in Cleveland, OH. Are there ever auditions? How do I get more information? No auditions are necessary! We do scheduling through the Facebook page- just send a message there at anytime and we’ll work to get you on the next month’s program! We’re always looking for new faces to collaborate and share! http://www.facebook.com/classicalrevolutionCLE. How do I get in contact with someone about booking a performance? Feel free to message our Facebook page (www.facebook.com/classicalrevolutionCLE) or you can email our director, Ariel, at ariel@arielclayton.com. Please be in touch anytime!! Cheers! !